Whilst the Chairman’s post is an appointment nominated by the Group Scout Leader (GSL), we are inviting nominations for the positions of Group Treasurer, Secretary and Grants/fundraising Officer. 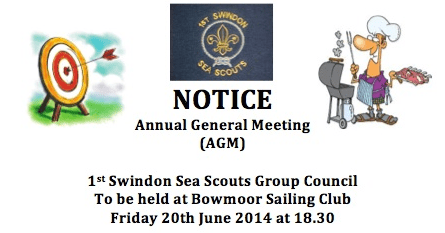 Nomination forms are available from the GSL or Section Leader. Following the formal business it is intended to hold a BBQ along with activities for all to get involved in, including archery.